Las Vegas Philharmonic’s Donato Cabrera reflects on the milestone season of Southern Nevada’s only professional symphony orchestra. Celebrating its 20th anniversary as the 2018- 2019 schedule kicks off Sept. 15, the Las Vegas Philharmonic is primed for one of its best seasons yet. (Horror film classic Psycho set to the live orchestra? Yes, please!) 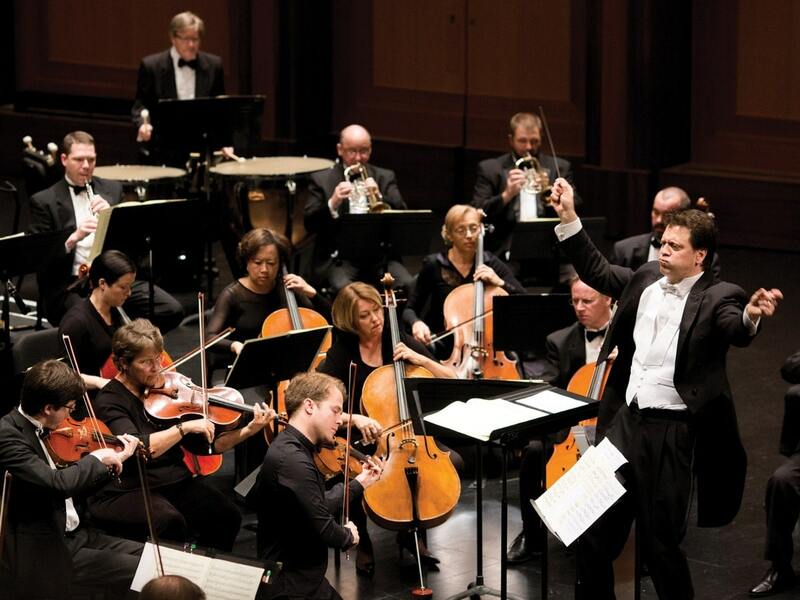 Under music director and conductor Donato Cabrera’s leadership, the company has been reinvigorated in recent years with more relevant and expanded musical offerings that have deepened ties with the community. Here, he shares his thoughts on the significance of it all. MODERN LUXURY: Is there a particular concert that you are especially connected to? DONATO CABRERA: In programing concerts, every one becomes your baby in a way. The opening night concert is really exciting because we are also celebrating the 100th anniversary of Leonard Bernstein. The final concert is also great because we are doing Beethoven’s Symphony No. 9 with four fantastic soloists and collaborating with the UNLV choirs, as well as the Las Vegas Master Singers. ML: What obstacles have you faced leading up to this moment? DC: For us, the challenge is always to increase awareness in an ever-changing and growing community. ML: What does this milestone mean for the community? DC: It’s a reflection that we are growing in the right ways, with the addition of the Golden Knights, the eventual addition of the Raiders, the success of Nevada Ballet Theatre and the success of The Smith Center [where the Philharmonic performs]. These things didn’t exist 10 years ago. ML: What inspired this season’s schedule? DC: That’s always such a big puzzle to figure out. One of the most important things was to look back in the 20-year history of all the music we performed and bring back some of the things that our audience liked. The other thing was to perform a repertoire that was celebratory in nature. ML:What else do you want to share about the upcoming season?